To celebrate our official launch in Northern Ireland Herdwatch will attend the renowned Royal Ulster Winter Fair on the 13th December 2018 at the Eikon Exhibition Centre, Balmoral Park. 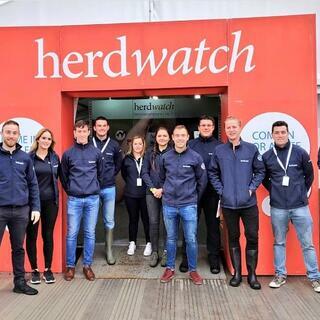 Join the Herdwatch team for our NI launch at the RUAS Winter Fair 2018. "After months of hard work and testing, Herdwatch are delighted to bring our easy to use app to Dairy, Beef, Suckler and Sheep farmers in Northern Ireland." Since September 2018 Herdwatch, the award-winning farm management app which is now helping over 8,000 farmers across the UK and Ireland is available to farmers in Northern Ireland. The App which helps farmers record their farm compliance and management information on the spot, is now approved by Department of Agriculture, Environment and Rural Affairs (DAERA), fully integrated with APHIS and complies with Farm Assurance standards, meaning that Northern Ireland farmers have only to enter their information on the app in order to be compliant. In software you’re only as good as your last subscriber and if you’re not innovating all the time you’re going backwards. We've adapted to this with the addition of a Farm Medicine Scanner in Version 5 of the App earlier this year. The Farm Medicine Scanner is aimed at all farmers. It makes recording animal medicines so much easier for farmers and simply takes the stress out of farm assurance paperwork. Recording Medicine - We've made it a snap! 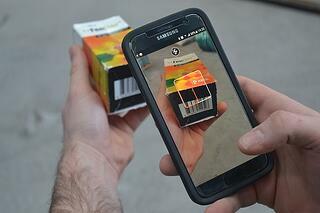 We've built a smart Barcode scanner into the Herdwatch app that allows farmers to simply scan their farm medicines using the camera on their smartphone. The sheer efficiency of this technology is that the Herdwatch app can recognise a Barcode and identify what medicine it is and what its corresponding VPA (IRE) or VMD (UK) number is. If there is a QR code available, the app will also be able to automatically pull in the Batch-number and Expiry date. The 2018 Winter Fair will take place on Thursday 13th December at Eikon Exhibition Centre, Balmoral Park. The event will run from 9am to 6pm. Visitors will see the highest quality of dairy cattle as well as finding out what the industry has to offer. The event also provides an excellent vehicle for exhibitors to market their products and services to the dairy farming industry.